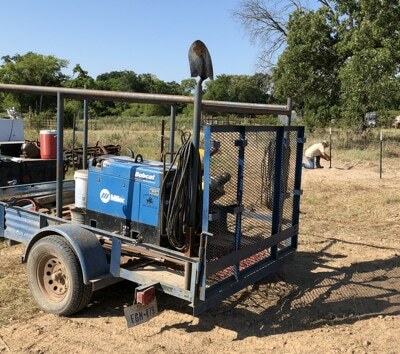 Emola Farm’s fencing and fence installation services offers a wide assortment of services from general fence repairs to supplies fabrication as well as a welding service. Whether you’ll need corrals, fences, or custom cut pipes, we guarantee only your utmost satisfaction with our top-notch services. Regardless of whether you’re putting up a perimeter fence, boundary fence, livestock fence, or corral fence, there isn’t any much better choice for farm fencing than a pipe fence. Pipe fencing is the most long-lasting, adaptable, secure, and appealing type of fence for the ranch, farm, or estate. Pipe fencing can also be enormously attractive and adds significantly towards the value of one’s property. Pipe fencing is very sturdy. Pipe fence requires small upkeep and there isn’t any other fencing materials which will last so long as a pipe fence. Fencing is really a costly investment so it only makes sense to use a top quality material that will last. Pipe fencing is very versatile. Pipe comes in a selection of sizes and thicknesses, so it is easy to style a fence for whatever your needs might be. For corrals and handling facilities, pipe fencing is extremely strong and sturdy. Pipe fencing is really a extremely popular choice for horse fence because it is particularly visible and secure. It’s simple to differ the height with the posts or number of rails based on whether or not the fence is being utilized for boundaries, corrals, paddocks, pens, cattle, horses, or sheep. Pipe is also the materials of choice for portable panels, gates, and cattle crossings. Pipe fencing is secure. With pipe fencing, you will find no boards to splinter, no barbs to injure, or rails that bend and pop out beneath pressure. A pipe fence is powerful enough to stop livestock from escaping from the most crowded corral. Generating an investment in new steel pipe fencing is not only an appealing, eye pleasing addition for your farm, ranch or suburban estate, it’ll add towards the value of your property. Pipe fencing is an extremely durable, versatile and reliable fencing program that offers years of service. 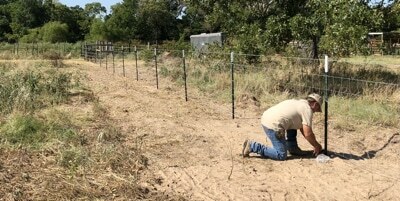 Emola Farm’s fencing and fence installation services installs all kinds of perimeter fencing, agricultural fencing, horse fencing, cattle fencing, and livestock fencing such as Ranch Rail, T-post and Barbwire, Slick wire or T-post with non-climb horse mesh. Our professionally installed and painted steel pipe fence will stay upkeep free for many years. Our fence installers have many years of encounter to ensure your fence is installed correctly, on-time and for your complete satisfaction. Pipe fencing is an very sturdy and versatile fencing program that provides years of trouble totally free service. Ranch Hand specializes in all types of pipe fencing such as pipe on pipe, pipe and cable, and pipe fencing with non-climb horse secure mesh fencing. New steel pipe fencing not only looks fantastic it’ll add to the value of your property. 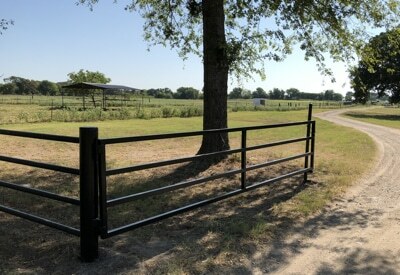 Ranch Rail is a ideal way to protect your horses and livestock. Ranch Rail Fencing keeps your prized animals secure with no sharp edges, protruding nails or possible splinters. Tough, sturdy and virtually maintenance totally free, ranch rail fencing is an outstanding choice for suburban ranch estates, equestrian facilities, and livestock applications. The rust, rot, and warp resistant materials by no means needs painting and has the added advantage that horses are less most likely to crib on the “tasteless” fence. A beautiful accent to any property, there is little wonder why it’s so well-liked with farmers, ranchers and also the equine business. Perfect for equestrian enclosures and paddocks Ranch Rail fencing is accessible with two, 3, or 4 rails and also in the stylish Cross Buck Rail cross-rail style fence pattern. Top quality studded T-Posts provide application flexibility in an economical fence answer. Correctly installed, T-Posts will retain their stability in all kinds of soils. 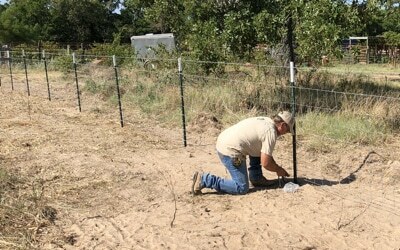 Accessible in varying heights with safety caps to protect horses and livestock, T-Post fencing is an excellent option for ranch pastures, boundary fencing and cattle. Barbed Wire fencing is time proven fencing solution for Cattle, Sheep, Goats, and Horses. Barbed wire cable is available with two or 4 barbs with numerous barb spacing to meet a variety of farm and ranch applications and fence budgets. Typical barbed wire fences have three to five stands of barbed wire and are perfect for long distance boundary fencing, cattle containment, and installations exactly where possible harm (brought on by the barbs) is not a concern. Also available is smooth barbless cable to protect useful horses or livestock from injury. Horse owners generally use barbless or slick wire fencing for equine enclosures. A very economical short-term or permanent livestock fencing solution, electrified wire fencing is gaining in popularity amongst farmers and ranchers. Usually, electrical wire fences are utilized for cattle, horses, sheep, goats, poultry, pigs along with other livestock. Available in various wire gauges to match your particular application and galvanized for rust resistance, electrical wire fencing can also provide added security to current field fences. Electric fence chargers, grounding supplies and accessories are matched to your particular livestock or equine installation. For the serious Horseman, Emola Farm Fencing Service provide total horse fencing options custom tailored for your requirements. Horse Secure Fences are specially created with continuous vertical and horizontal wires for the safety of our occasionally overly inquisitive equine pals. The “Non-Climb” mesh is really a vertical mesh fence pattern with no sharp ends to cut or injure that continues to be designed to stop horses, cattle or other animals from stepping via or walking down the fence. The high strength, galvanized No-Climb horse fencing with horse secure third wire knots require virtually no maintenance. V-Mesh Fence has tight wire spacing that helps prevent hoof and leg harm and is an excellent answer for smaller livestock and game animals. The tightly woven style also can make it extremely difficult for humans or livestock predators to climb which keeps undesirable intruders off your property. Field Fences are ideal for most any type of livestock. Field Fencing is suited for cattle, goats, horses, sheep, poultry, along with other livestock and is accessible in varying heights and spacing for little or large animals. From functional to elaborate Emola Farm Fencing Service offer farm and ranch gates from 4’ to 20’. If Emola Farm Fencing Service don’t have the precise size you need, Emola Farm Fencing Service will custom make 1 for you. Custom constructed ranch and estate entry gates add that last touch of elegance for your property (and assist your city locked friends in discovering your house). Heavy galvanized steel pipe swing or slide gates provide years of difficulty free operation and security for residential, agricultural and commercial applications. Gate accessories consist of rugged, reliable electrical gate openers, automobile detectors, digital access keypads, wired or wireless proximity and card readers, and solar powered gate openers.